Yes. That's right. The 2010 National SCRABBLE Championship (NSC) is almost here. In fact, it starts in less than 2 weeks! And if you were lucky enough to register for the competitions, you could win a first place prize of $10,000! 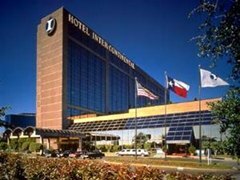 This years events will be held on August 7–11, 2010 in the Hotel InterContinental Dallas at 15201 Dallas Parkway in Addison, TX. Games will be played in the hotel's luxurious 25,000 square foot Crystal Ballroom with 26-foot ceilings, which will surely make this NSC one to remember! But alas, if you didn't make the July 21st deadline for registration, you're too late. Unless you believe in miracles. There's only one chance to get into the SCRABBLE competitions now, and that's only if one of the skill divisions is uneven, but it will require a surcharge of $75, in addition to the fees for Division 1 ($175) and Divisions 2-4 ($150). Just over 400 lexical masters will be competing in 5 different skill level divisions, and the first prize for Division 1 is a whopping $10,000. The prizes for the remaining divisions have yet to be determined. The players come from 47 different states within the United States (USA) and from 4 other countries, comprised of Canada (CAN), Malaysia (MYS), Marshall Islands (MHL), and Thailand (THA). To see a full list of all the register SCRABBLE players, visit the North American SCRABBLE Players Association (NASPA). Some of the notable names competing in the NSC 2010 include past winners Nigel Richards (2008), Dave Weigand (2005; 2009), Jim Kramer (2006), Joe Edley (2000; 1992; 1980), Brian Cappelletto (1998), and Joel Wapnick (1983). More SCRABBLE celebrities to hit the games will be Stefan Fatsis (author of Word Freak), Bradley Robbins (who wowed the NSC 2008 crowd in Orlando at the mere age of 11), and Eric Tran (Canada's current highest rated player). Other players are School SCRABBLE prodigies, National and World SCRABBLE champions, and just plain old SCRABBLE enthusiasts who want to try their hands at the title. "Approximately 40 million people play the SCRABBLE game on a leisurely basis, however SCRABBLE is a lifestyle for our competitors," says Chris Cree. Cree is co-president of NASPA, who organized this year's event. He is also competing himself in Division 1, with the 12th highest rating. 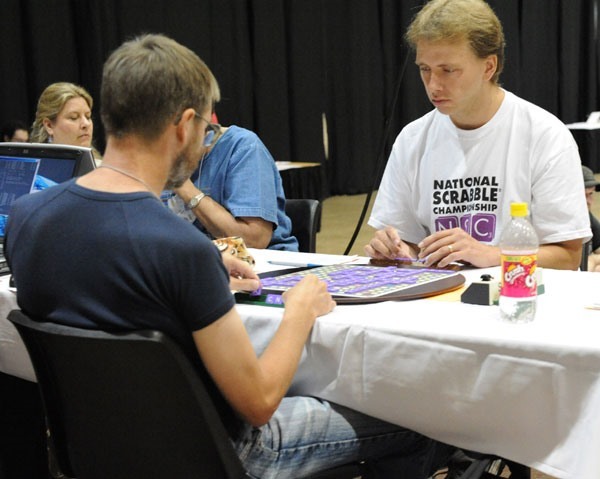 The National SCRABBLE Association (NSA) had organized the NSC in the past. 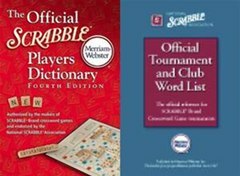 Most of these players have memorized some, if not all, of the Official SCRABBLE Players Dictionary (OSPD4). Some, even the Official Tournament and Club Word List (OWL2), which includes all of the words listed in the OSPD4, with the addition of 9-letter words, inflections, and expurgated words from the OSPD4. That's probably as far as anyone gets, even Richards and Weigand, because the next official study aide is the Official Long Word List, which houses words longer than 9 letters. One of the interesting things about the National SCRABBLE Championship is that there is NO elimination. Everyone plays their staggering 31 games in the 5-day weekend word extravaganza. And for those who can't make it, live online coverage will be available at NASPA. In particular, some games, probably the highest Division 1 board without a Gibsonized player, will be annotated live. Gibsonized refers to Gibsonization, where if a player has already cinched the championship, officials will not pit that player against players still competing for prize money. It's named after David Gibson, who had the propensity to win tournaments before the final game. Gibson, however, is not registered to play in this year's competition. 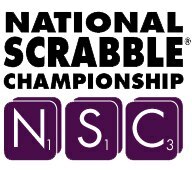 In order to play in the NSC, players must be registered with NASPA, have an official SCRABBLE rating, and have paid their entrance fees. Check-in for the games is on Friday, August 6th, between 10AM and 10PM at the NSC check-in desks in the Crystal Ballroom lobby. Group rates for rooms at the hotel are available for $129/night (plus taxes) for singles or doubles. For more details for the 2010 National SCRABBLE Championship, click here. The page will be updated frequently before the tournament begins. Also, on an interesting side note, John Spangler will not be attending this year's NSC in Dallas and has personally boycotted the event because he disagrees "fundamentally with [the] philosophy and with the current governance structure of NASPA and its method of operation," claiming NASPA is NOT a players' association and had NO intention of ever becoming one. Spangler had previously attended the NSC in 2008 and 2009. To join Spangler in his personal boycott or to get more information on it, visit his blog, The Bluegrass Scrabbler.